We are staying in Apple Valley....baby! Monday- It finally hit me that the story I shared last week about the woman pretty much bashing us and saying the priesthood wasn’t on the earth totallllllllly prepared sister Van Heel and I for the craziness of Jan’Ines baptism. Maybe you don’t see how it relates, but someday we can sit down and talk about it:p We went to Big Bear again this day to have a little missionary Christmas party. It was fun. I was the one driving so I didn’t get carsick. Thank heavens. We got a little lost on the way back, but because prayer always saves the day we found our way back on the path haha. Not too much this day. Tuesday- Sister Van Heel and I made 4 cakes in preparation for the wedding on Wednesday. We baked and then the member we live with decorated it (she does professional cakes for work!) so it turned out GORGEOUS. It was my 14 month mark, so I celebrated by allowing myself to have a Vanilla Coke at dinner :p DRINK OF THE CHAMPIONS. Wednesday- ISAIAH AND SARAH GOT MARRIED. We went over bright and early to do Sarahs hair…ok…fine….sister Van Heel did it…you KNOW I’m not gifted in that manner haha. So many people came to support then, even on Christmas Eve day, which warmed my heart. They were both so nervous, it was adorable. When it came time to ‘walk down the aisle’ Sarah grabbed ahold of Sister Van Heel and i…so there ya have it…I got to walk someone down the aisle at there wedding. One and only time. On my mission! So cool! And it was sweet because I got to hold the side where her nub is so it made me think of daddy! The coolest part was knowing that they were taking this huge step in their life all so they could get baptized a few days later. No, you don’t have to be married to get baptized, but you do if you are living together. The ward REALLY came together on this whole thing. We were able to throw them a little mini reception after and everything to make it special and a day to remember. It went perfect. I had to hold one of the elders hand during the prayer at dinner that night and it was……awkward to say the least lol. If you have served a mission before you’ll understand my pain. Oh. I also had the hiccups stinkin 4 times this day. Did you reallllllly need to know that? Not at all. That night Sister Van Heel and I turned on some Christmas music and tried to straight DANCE for 30 mins without stopping. It was hard. I’m pretty sure the member we live with thinks we are psycho..and she might be right lol. We are dorks. However, we have some pretty awesome moves!!!! Thursday- CHRISTMAS BABY!!!!!!! We spent this day with a lot of members in the ward that we love, so that’s always nice. Getting to call home was so great :) it’s weird seeing how much everyone has changed, grown up and to know it was my last time getting to call home on the mission. The next time I’d be able to I’ll be HOME! Whatttttttttttttt? Jan’Ine made us the cutest little slippers for a present. I will be keepin’ those things the rest of my life! After giving this guy a “He Is the Gift” card he yelled “Thanks. By the way..I think you’re pretty hot!! 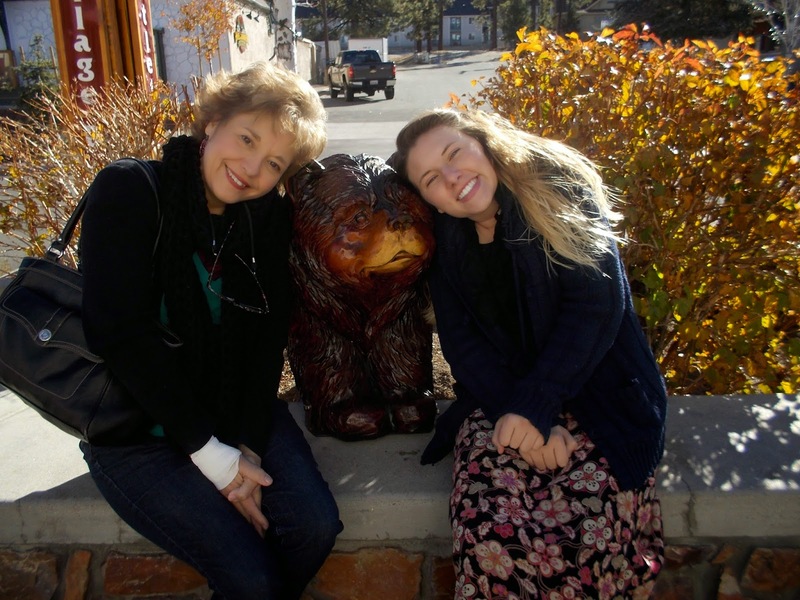 !” Oh goodness….day in the life of a sister missionary. We went caroling again in our area and had an enjoyable time. It was neat because every time we went and caroled as a zone people would just “oooh and aww” over our singing, which honestly wasn’t even that good lol; however, the spirit was with us, angels were with us helping touch the hearts of many so people felt it. I love angels. Friday- One of our investigators committed to baptism. Pretty good belated-Christmas present! Drank celery soda for the first time in my life. A different investigator asked for forgiveness for the time she had missed with us because of putting other things of more importance in a prayer…so humbling. She missed the spirit she feels when we come. Ok, so while on my mission I’ve still been quite self-critical at times, but nothing like I was back home. I can look at myself in the mirror and find some type of beauty in it, even though I’m not a perfect twig or something. I realized that part of the reason is because I’m not back home where every 2 mins I see pictures of all my ‘friends’ ½ naked in bathing suits/next to nothing clothing. I do not have to constantly see these ‘perfect bodies’ then see me. I needed to come on my mission to gain some self-worth. I don’t have a perfect body, but I have the perfect gospel in my life which allows me to have eternal joy, not just temporary happiness. Saturday- Even though the baptism ended up starting 25 mins late, it was a beautiful service. ISAIAH AND SARAH ARE FINALLY BAPTIZED AFTER LIKE A YEAR OF BEING TAUGHT!!!!!!!! Yaaaaaay! They brought a ton of non members who all loved it. Sister Van Heel played the piano and an elder and I sang a special music number. After one the friends complimented it and we were like “don’t worry Josh, we’ll do something special for your baptism too! !” and he didn’t fight it!!!! He is gettin’ dunked!! Lol. Found out Sister Van Heel and I are staying together another transfer in the Village ward. I feel extremely blessed. 1. Know what God wants for you. “Scriptures/talks are an effective mirror we can hold up for self-examination. We should ASK God what goals we should set. I mean, He does know a liiiiiiiil bit more than us, dontcha think? 2. Know that God can help you succed. 3. Know God loves you, even if you feel you have failed. Even if you don’t reach your goals perfectly, you still grow from the efforts of trying to get there. So it’s all good it the hood, my playas! I hope you all enjoyed Christmas as much as I did. Don’t forget to buy a bottle of sparkling grape juice this week to bring in the New Years right!!!!!! ;p do it in memory of your favorite sister missionary serving in California right now!! I love yall. I have no earthly clue where to start this off at. This week was UN-BE-LIEVABLE. Monday- While I was standing in line at Target I saw two girls signing to one another. I got really nervous because I wanted to talk/sign to them, but I hadn’t communicated back and forth with someone in a long time so I didn’t know if I’d remember anything. I said a prayer, put my trust in Heavenly Father and away we got to talking. I know Heavenly Father made that possible. I gave her a ‘He Is The Gift; card and she said she’d watch the video :) I am so thankful I served in Bear Valley, as hard as it was for me at times, because I LOVE ASL. I can’t wait to go to school and learn more! Tuesday- When we stopped by Jan’Ines to go over some things she started to ask us some questions making sure it was alright that she was doing certain things. She goes “Im just trying to make sure I ain’t doin’ nothing I ain’t supposed to be doin, ya feel me?” It was so cute to see her efforts in wanting to be obedient to Heavenly Fathers commandments. I wish I were more like that at times. She loves the gospel, she sees what it is doing for her life and she wants to do what she can to keep it that way. We went caroling with other missionaries in our zone…in the rain! It was awesome! Caroling has been softening people’s hearts like crazy. Wednesday- Before we went to our missionary Christmas party we had a lesson with an investigator. In this lesson (I don’t even know if you’d call it that) she sat there and tore apart the pamphlet we had left her with all of these bible verses that had nothing to do with anything, wouldn’t allow us to talk and kept saying “the Aaronic priesthood is NOT on the earth today!” This lesson was reallllly hard for me because if there is one thing that I’ve gained a testimony of on my mission, it’s the priesthood. It made me legitimately SAD for her. We knew leaving that lesson that she obviously was NOT prepared for the gospel at this time and there is no point in going back because you can’t teach someone who doesn’t want to learn; it won’t get you anywhere. We felt good knowing that no effort is wasted though. I know that missionaries will come along someday, the right ones, in the right timing and that it will finally make sense to her. I love the priesthood. I loved knowing that after that lesson, because I’ve worked hard on my testimony while being here, that it wasn’t shaken at the slightest. I still know the truth. I still know, through the Holy Ghost that this is Jesus Christ’s church on the earth today. Man, I am so blessed. COOL THOUGH: every single day I write a daily personal goal for myself. I didn’t realize this til Thursday, but my daily goal this day was “NO CONTENTION.” It was interesting to me that the day my goal was no contention was the day that 1. We met with this woman who bashed with us, yet we had to end by hugging her, loving her and politely leaving and 2. It was the day I had to see a LOT of missionaries, both elders/sisters that I don’t particularly care for and because of this goal I was able to overcome not liking them and show love. Man. Anywho, the Christmas party was soooooooooooo much fun!!! I got to say goodbye to a few good friends. One of my favorite elders who hates taking pictures even took a few with me…miracle! Haha. Sister Hobbs said this which stuck with me “Christmas time is about giving. God gave His son. The Son gave His life.” Think about that. Thursday- We had a lesson with Jan’Ine about temples. Boy, do I love the temple. I can’t wait to live in Utah and have tons all around me. That’s practically why Heavenly Father helped me realize I need to be in Utah. Temples. My favorite place. :) Jan’Ine passed her baptism interview! We went caroling with a family in the ward and had a grand ole’ time. At one point we stopped at a members house and she asked us to go sing to her neighbor, someone we have taught in the past but had to stop because the wife didn’t like “Mormons”. Well, when we went (which was totally a prompting on the members part) he was asleep, so the wife had to listen. She loved it. It warmed her up to us a little. After that the next day I guess the man went over to the members house and in tears in his eyes said no one had ever been caroling at his house, that he was OVER COME with emotions knowing we had and said he wants to be baptized. Uhm. Wow. After caroling they took us to this cool house where the lights were synced up with a radio station. It. Was. Awesome. We got out and danced around a little. It made me miss Elder Coburn. He is my dancin’ buddy. It was a party and a half! Friday- During my personal studies I realized that being on a mission and having a companion truly do prepare you in all ways to have an eternal companion someday. We learn that companion prayer/study/planning is essential and the power of unity. WOW. Heavenly Father is helping prepare me for a very healthy relationship someday. Nothing like I’ve ever had before, that’s forsure. Saturday- We wake up, do studies, (while doing studies I was reading an old journal entry and the very 1st one I read talked of the miracles that come from fasting and included an experience from Diamond Bar. It was almost Gods way of saying ‘you aren’t crazy. This CAN happen and you’re doing the right thing!”) go to Squash Farm to do service…hard physical work….while we are fasting lol….Heavenly Father helped us leave at perfect timing because right when we got home to start getting ready Jan’Ine called and was needing help…so we got in the car, drove over, started making her food (she hadn’t eaten in 2 days from being sick)….WHILE FASTING lol…cleaned up her kitchen, shared some words of encouragement, went back took 30 mins to get ready to go prepare for the baptism, did everything we needed to at the church and then she got there. We prayed so much, so sincerely and with so much faith all day. When it came time for the baptism to begin everything went perfectly. She felt fine, was able to enjoy it, the spirit was super strong and she was SO happy she went through with it. We were even able to sing our song without messing up and our throat drying out…since we had been fasting all day…haha I left that baptism with a stronger testimony of: the power of fasting, prayer and faith. Heavenly Father taught me that day. More than usual. An experience I will never forget. Sunday- Members kept coming up to us and saying how much they enjoyed Jan’Ines baptism and how strong the spirit was. YAY! Heavenly Father helped us pull it off. Church was great, we had an investigator who’d been ignoring us show up and asked us for forgiveness. :’) precious. We had lunch with a less active man and his active family. He didn’t come out until the end and said “I felt it would be rewarding to come out and join you and it was.” We got like two referrals from members that day saying their friends are ready to take the lessons and get baptized. I swear. We don’t even do anything here, the ward just always provides us with great people to teach/love. I am so blessed. Too blessed. This week is going to be busy. We are throwing a wedding, having a baptism, it’s Christmas so I’m FaceTimin’ home, we have carolin’ to do…BUSY BUSY BUSY. Just the way I like it :) I love you all. I love Christmas on the mission, it’s the best thing ever. MAN! Make sure and smile at everyone you see. Enjoy life. I’m going to be honest with you right now. I. am. TIRED. I’ve had Return Missionaries tell me that when they got home they just crashed for like a week and didn’t get out of bed. Now, as great as that sounds, I know that won’t happen to me; I got too many people to see, so little time! However, sleep and rest sounds good about now. DON’T WORRY. I’m not getting trunky (a term missionaries use. A elder I serve with describes it as this. Trunky: a strong desire to return home; in an extreme sense, it’s like your trunks are already packed for the flight home). While at our missionary meeting I realized that maybe all the talk of “Hastening the Work” within the church isn’t quite about bringing more people into the church, but to get everyone to learn their part and how to work together. The Lord just wants us to be unified. All of us. All of His children. Wednesday- Our investigator that has a nub like daddy gave Sister Van Heel and I “BFF” necklaces <3 it was too stinkin’ precious. Her and her fiancé are seriously better missionaries than I am and they aren’t even baptized yet. That’s what I love about the gospel. It changes people, and when it changes people (always in a good way) they/we get excited and want everyone to know about it! One thing Sister Van Heel helped me understand this night was that because we have such a big area, with SO many people to work with (most of them having super serious issues) we gotta be praying more for the spirit. We have to be even more obedient than ever so that Heavenly Father can provide us with the Spirit that we so desperately need to help these people. I love companions. Thursday- I, Katie Toolan, helped with a little remodeling. I was over there workin’ some magic on the electric power saw cuttin’ some tile! I kept wishing the whole time that mom and dad could be there to see me, they wouldn’t believe their eyes!!! See, even if yall thought you didn’t teach me ANYTHING, ya did :p However, I’m still going to let you be the pros with a house when I have one! YOU ARE THE MASTERS! We had dinner with an older member family and our investigators and while there Jan’Ine (invest.) says “UH. I’m finna have to approve of the man you marry. Ain’t just no average joe gettin’ to take you from me! !” Then the member wife decided SHE will provide me with the recipes for the man, and the man member says he will lock the gun for me when I introduce him so he’ll know not to mess around! He also kept going onnnnnnnn and onnnnnn about how I just had “the cutest accent ever.” Old men. Gotta love em! Saturday- We had our ward Christmas party. It was a waffle breakfast with a little program. We got there early to help at 8 and never really sat down til we left and went home. SO many people showed up. A lot of the members had invited non-member friends and some of the people we are working with came, it was awesome. We didn’t have time to talk to everyone! At one point towards the end one of the families we had invited showed up and by that point there was no more food left. It was a family of 7. Sister Van Heel and I ran straight to the car and went to Stater Bros, bought some waffle mix, came back and fixed up waffle galore for them (and a few others who showed up late as well). I was super thankful for the members that were really patient with us having to dirty back up the kitchen to help this family feel loved. It made me think about last year when I was in Diamond Bar and we didn’t have enough dessert for everyone at the party so Sister Havens and I did the same thing. Man. I guess missionaries are just here to save the Christmas parties for everyone :p hahha. We were so worn out after all the stress/running around/helping that when we got home for our lunch break we just crashed. Much needed! We had a few lessons that day and in one I got invited to a video game date with a 7 year olds boy after the mission. LOL. Sister Van Heel invited the husband of a woman we are teaching to sit in on our lesson and he said yes! She is such a good little missionary!! Sunday- HOLY DAY OF DRAMA. Let me start off by saying that Saturday night I made some chocolate chip Banana bread and when I woke up there was a note for me from the member we live with “GOOD BREAD!” written on it. She makes cakes for a living and is a really good cook so I took that as a huge compliment :p Things were going well. We got to church and found out some of our investigators had gotten offended at the party Saturday and they were LIVID. They were legit ready to fight this woman if she walked into church (luckily, she didn’t end up showing up…blessing? I think YES.) There were a lot of other things going on that I shouldn’t write about, but moral of the story? We were SO lost as to what we needed to do. We were scared, confused, overwhelmed. At one point I realized that there are times when we OVERplan which then gets in the way of the spirit. It wasn’t until Sister Van Heel and I calmed down, took it all to the Lord, humbled ourselves by realizing there was NO way we could do this on our own that it all worked out. Heavenly Father provided us with the words to say, the compassion to show and the knowledge of what His children needed as we went and visited with people. Sarah and Isaiah are getting married on the 24th and baptized on the 27th. Sarah called and asked us to do her hair for her wedding! TOO SPECAIL! I love it. We had 9 investigators at church this day. We were blown away. AWKWARD MOMENT WITH MORE OLD MEN: while at church I was standing talking to this one older gentleman and another one comes up and says “Hey. Why are you talking to my girlfriend?” (talking about ME-__-) the one I was talking to goes “What? She told me she was MY girlfriend?? !” I stood there awkwardly as they talked about how pretty of a face I had and how there had to be at least 15 boys waitin’ on me back home……AWK! TOTAL AWK. I feel like everyone and their mother talked to us about dating/marriage this week. It was…strange. It’s always a tad uncomfortable/nerve-racking talking about that stuff to people as a missionary. It’s like you aren’t supposed to be thinking about it, however everything you’re currently doing is preparing you for it and it’s the goal afterall. Mixed emotions haha. I overheard a conversation at church that day that really hit me. The bishop was talking to the father of a 14 year old boy and said “you know, you have a really GREAT kid.” And the dad goes “I know I do….now we just gotta help him see that..” I, being me, started to cry. How sad. Why is it that we, who are sons and daughters of the most Supreme Being of the world don’t see how much we are worth? That is something I’ve struggled at my whole life, but I know that coming on a mission has helped me more than anything to see how much the Lord loves and trusts us. I just hate to think that there are kids/teenagers walking around feeling the way I felt at that point of my life. YOU ARE SO WONDERFUL I CAN’T EVEN PUT IT INTO WORDS. We all are. Don’t forget about that. Oh, and before I end this, since we’ve been getting this a lot lately: MORMONS ARE ALLOWED TO DRINK SODA. We can even drink caffeine if we’d like lol. Some members of the church may opt not to do so, but it never says anywhere that it’s ‘against the rules’ or something haha. Just thought I’d clarify. I hope you all have a fantastic week. Keep making goals/changes in your life to become a better person. Believe in yourself. Find your confidence/strength in the Lord. I love yall. LOVE GOD MORE THAN ANY OTHER PERSON- CONVERSION. I truly believe that this is all we need. I’m not quite there yet, and there will be days that are better than others, but I sure am working on it. Tuesday- IT RAINED ALL DAY. WHHHHHHHHAAAAAAAAAA??! Comitted 2 of our investigators to baptism! 2 of our other investigators are getting married sometime this next week so they cn be baptized “before one of us has to leave” haha. YAY! Wednesday- It rained even mooore this day! I missed rain more that I thought :p A less active member that hasn’t allowed missionaries in his house for years let us in..He said he wants us to start coming over more often and that he likes the spirit we bring with us and the example we are to his young grandchildren. I thought that was super cute. Peoples hearts soften. They really do. In the Lords perfect timing! Thursday- We were reaaaaaalllllllly glad we had a Jeep this day. Because of all the rain and dirt roads we hit some serious puddles, I’d be lying if I said it wasn’t a ton of fun though :p We had 8 lessons this day and literally everyone we tried to see was there for once. It was incredible. Had lunch with other missionaries in our district….interesting is a good word to use I guess? Lol. Elders. Still can’t believe Heavenly Father expects us sisters to marry one someday hahaha. Friday- Helped a woman put up some Christmas decorations while we listened to lovely Christmas music :) Went to bed with a hooooorrrrrrrrrribllllllle headache. It’s strange because I have never had ‘health’ issues so to say until I got to this area. Haha. Must just be the stress! Saturday- All the missionaries in Apple Valley got to sing at the AV Tree Lighting Ceremony. It was a ton of fun. Sister Van Heel and I wore some bannnngguppppp Santa Hats!!! Don’t worry, we made sure to take them off during the prayers/national anthem :p Between all of us missionaries we ended up handing out over 1200 packages of cookies with a “He Is The Gift” card stapled to it. IT WAS SO AWESOME. Great missionary opportunity. Sunday-It was a strange day. I felt really…off? Not sure how to explain that one haha. COOL THING THAT HAPPENED THOUGH: We are teaching a black mother and daughter who have been coming to church for like 2 months straight. Well, it was hard getting them there at first because they thought we were a ‘white church’ even though we are a WORLDWIDE church. Anywho. Another black lady, who we’d never seen walked in and we were so happy they were there to see it. Well, she ends up getting up to bear her testimony. At 1st we were really happy just because our investigators were getting to see/hear her. But then, as she was baring strong, powerful testimony she looked over to a different corner where we had 5 investigators sitting and said “you look like I did the 1st time I came to this church. I’m here to tell you to keep coming. This is GODS church.” That woman didn’t know them a LICK! If that wasn’t testimony that the spirit is real and guides people then I don’t know what is. We gotta be productive instead of idle all the time. I’ve found that it’s really easy to take 5 mins here, 2 mins there, etc. to ‘break’ (for yall it might be to surf the internet, to check your phone, to nap, to edit a cool picture). Let me tell you something though: that ‘here and there’ time adds up and before you know it, you’ve wasted at LEAST an hour of your day doing nothing that will benefit you in the end. If we just keep an eternal perspective of all things we’d be much happier and live much more simple lives. I can testify that what he said is true. WHEW. I sit in aw every single day at how much Heavenly Father teaches us in such a short amount of time. It’s so neat because lets be real here, if this is Gods work, and it is, then He could do it without the help of all these young immature 18-23 year olds…but instead, He knows how much it will help us learn/grow, therefore He so graciously allows us to be a part of this wonderful cause. It’s because of Him that I see miracles daily, that I’ve learned how to listen to that still small voice of the spirit, that I have learned the importance of family and how crucial the gospel for all of us. I JUST LOVE HIM. Ok, there can actually be beauty/symbolism in the ‘hype’ of Christmas. For example: when baby Jesus was born it was in a super humble setting (a lowly stable) however, given the circumstances it was absolutely GORGEOUS. It glowed. It’s just like that with humble houses in our own neighborhoods at Christmas time. Sure, they might not be that pretty during the day, but at night as they are lit up, you see the prettiness of it instead of the lowly house it is. Beautiful. I love it. Before I say ANYTHING I want yall to take 3 mins to watch this video. Wow. Pretty powerful, huh? My favorite part is the very end when it says “Discover the gift. Embrace the gift. Share the gift.” As a missionary I’ve come to learn that Heavenly Father is ALWAYS there for us, and if we don’t feel His presence any longer it’s because WE left His side. He wants us to discover for ourselves the truth. He doesn’t force us to read our scriptures, to become a member of the church or to make right choices. He lets us act for ourselves. It’s up to us to embrace the gifts we have—the atonement of our Lord and Savior Jesus Christ, the scriptures, the ability to pray to Him at any given point in our day. And then, once we have received, as promised to your answer, it’s our responsibility to SHARE THE GIFT with everyone. So, here comes my commitment for yall this week :) I want you to do what you can to #ShareTheGift. Put it on your Facebook, your Instagram, send it out in an email to your friends/family, ask the missionaries in your area for a pass along card and give it to someone this week….JUST SHARE IT. You don’t have to be a member of the church to feel the spirit that comes into your heart when watching this short video. Don’t get away from the greatest gift we’ve ever been given this Christmas season. others. Think first of someone else. Be kind.Be gentle. Laugh a little more. Express your gratitude. Welcome a stranger. Gladden the heart of a child. Take pleasure in the beauty and wonder of the earth. Some fun things from this last week? - I, Katie Toolan, was able to help one of our investigators set up her internet so she could take a test. I felt like a nerd. I loved it. ChapMonkey, are you proud? - Another woman we are working with right now told us on Thanksgiving “This is the 1st Thanksgiving in 15 years that I’ve been happy. I wouldn’t be like this right now had you not started visiting me, teach me and got me to church.” Do you know how happy that makes a missionary? AH. I’ll be a-okay with being away from home on my favorite holiday if that means getting to hear that. The Gospel of Jesus Christ is life changing. It is powerful. It is true. - Got to see some of my favorite families from Mojave River at dinner Saturday night. They came and surprised me! Oh, the things that make a missionary happy happy happy!